Brick Underground: Will rising interest rates knock buyers off the fence or steer them toward rentals? Lisa Garey joins Compass as a Licensed Associate Real Estate Broker. Lisa creates compelling campaigns for sellers showcasing properties to their best advantage, while also translating buyers’ needs into a real property at a fair market price. Clients benefit from her communication and research skills, and innate ability to deal with complex logistics and financial scenarios. 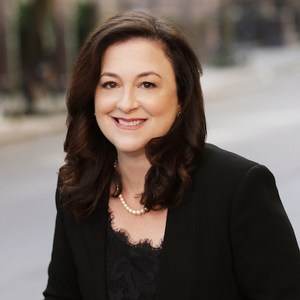 Lisa’s clients appreciate her gentle, yet effective, powers of persuasion and a finely-honed talent for negotiation and consensus building as a Certified Negotiation Expert, as well as her professionalism, integrity and attention to detail. Much of her business now comes through referrals and happy repeat clients. She works with clients all over Manhattan and Brooklyn. A Manhattan resident for 30 years and a real estate agent for nearly 10 years, Lisa grew up in California and graduated from U.C. Berkeley with a B.A. in English. She later received an MFA in Creative Writing from Columbia University's School of the Arts. Lisa resides on the Upper West Side with her Siberian Husky, Rosie.